Worldly-wise Business and Marketing Holy Troika! There’s a holy troika for those of us with professional marketing careers: your customer, your company, and your self. 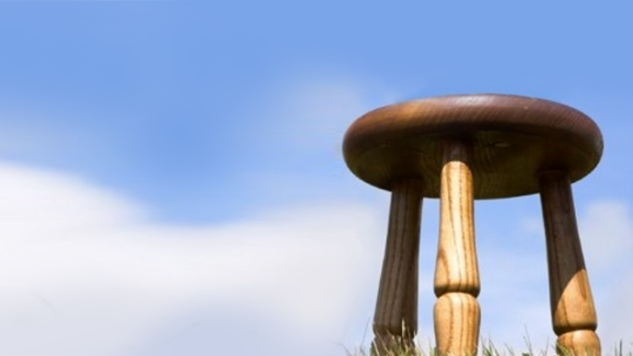 They form a three-legged stool upon which everything that matters in your business and your career sits. Always come back to these three, and ask yourself: Are they being taken care of? Are things the best they can be for them? Are they happy? Whether you are analyzing the torrents of marketing data, building a lead gen program, managing social media, or leading a marketing organization that numbers in the hundreds, focusing on these three creates your True North. It raises you above the blinding minutiae and distracting frenzy to where you can see clearly again, and will always steer you in the right direction. Why is the customer part of the Holy Troika? It should be the most obvious: They are your best marketing and sales team, or your worst enemy. They are the ultimate source of funding that pays you, your fellow employees and shareholders. But here’s the big reason: they’re human. They deserve to be treated well and they respond in kind. If they’re taken care of, your business will hum. Why “the company”? It’s the conduit that brings solutions to its customers’ problems. If it thrives, it can be a better employer and offer you more opportunity, and it can better serve its customers. If goals and targets are missed, shareholders or boards of directors revolt, and that does no one any good. So remember: as annoying and out-of-touch as company metrics can seem some times, it really is in your best interest to help your company meet them. Why your self? “You” may not instinctively be something you choose to take care of in the same context as your business goals. But you need to. While focusing on your own needs and interests feels “personal” and unprofessional, they’re actually inextricably linked. The division between personal and business is in your own head. The reality is, if you aren’t in your best form, you’re not giving your best professionally. That means not only do you suffer, but so do your customers (internal and/or external) and your company. And, well, that brings us back to the two other parts of this triumvirate mentioned above. So – it’s a sacred, interconnected trio that must be taken care of at all times to provide a solid platform: your customer, your company, and you. It one of them is broken, something’s going to fall down and get hurt. And we don’t want that.